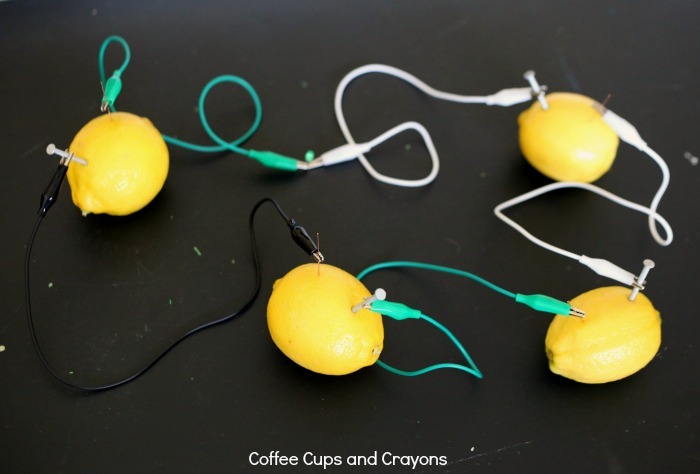 Making a lemon battery is one of the coolest science experiments we’ve ever done. Even though we were following lemon battery instructions we almost couldn’t believe our eyes when we connected it all together and saw the light shine. 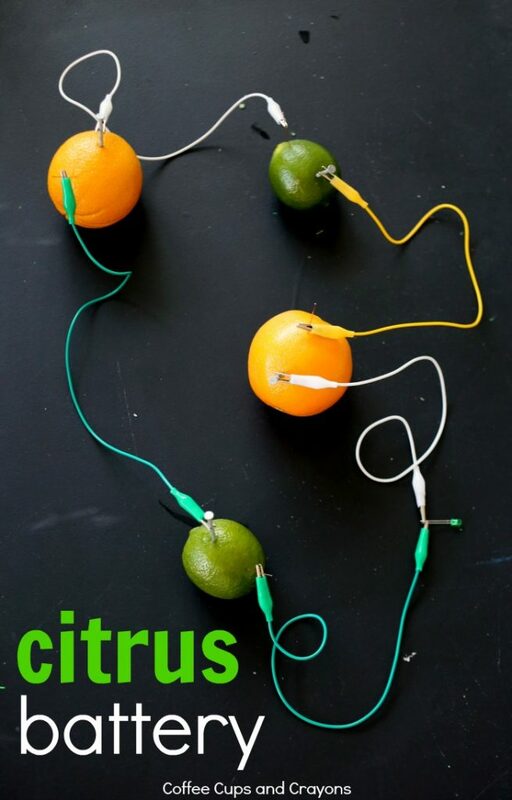 Using fruit to power lights is definitely a great way to get kids excited about STEM activities. 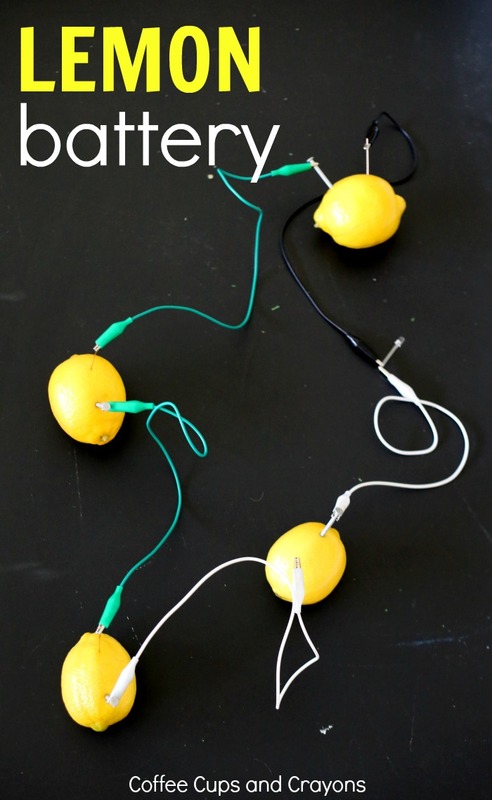 A lemon battery is a STEM project I’ve been wanting to try for awhile now so I was thrilled to get to partner with Green Works and StemBox for this post. StemBox, is a monthly subscription service aimed at young girls that delivers hands on science experiments to their front door. This month’s box was all about the power of a lemon and my girls had lots of fun experimenting with it! The Stem Box arrived with everything we needed for the experiment (minus the lemons) and a few bonus items. 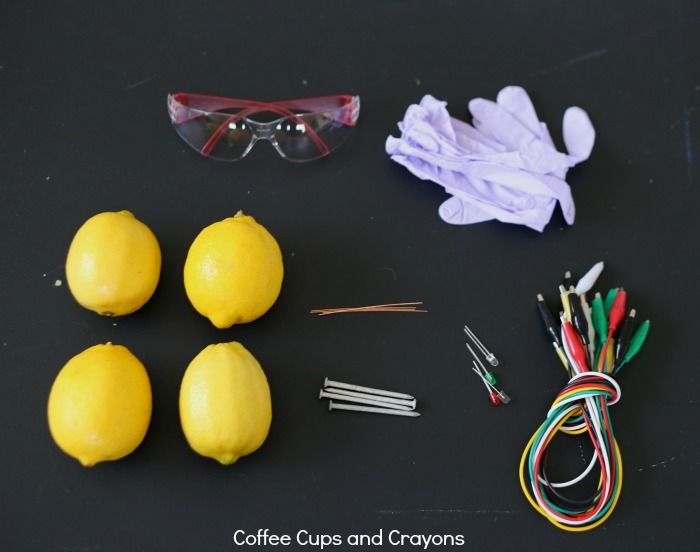 One of the reasons we hadn’t made a lemon battery yet was that I didn’t already have all the items on hand. It was nice to have everything delivered–no special trips required. 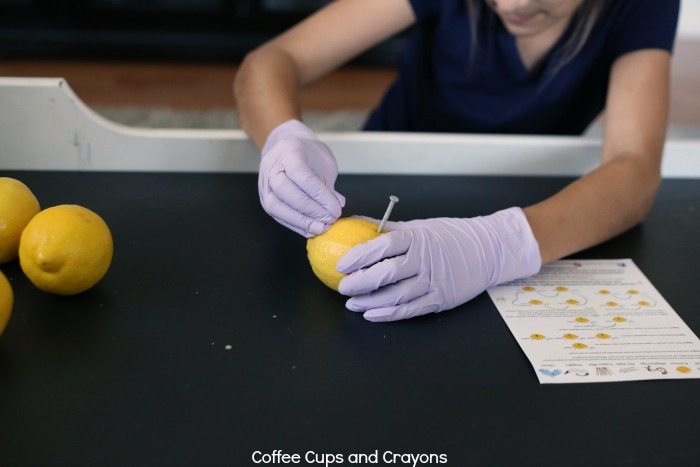 Step by step instructions with illustrations and an explanation of the science behind the lemon battery were included in the Stem Box. We started by rolling the lemons on the table to get them nice and juicy. Then my daughter stuck a zinc nail and a piece of copper wire into each of the 4 lemons. She then used the alligator clips to connect each lemon together (nail to wire to nail to wire). 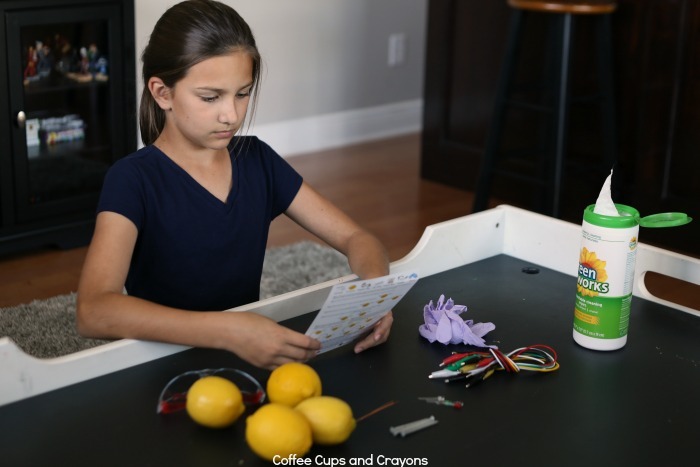 Once the last lemon was connected she used 2 more alligator clips to connect the first and last lemon to an LED bulb. Once the circuit was completed the light lit up–we couldn’t get over how cool it was! After the light lit she tinkered with it a bit further by changing the number of lemons connected and then swapping the lemons for other citrus fruit. My younger daughter loved helping her sister with the STEM experiment and it ended up being the perfect project for them to do together over spring break. In addition to the supplies for the lemon battery Green Works also sent some other fun materials–a pin, Green Works Wipes (which came in handy because our oranges got the table quite dirty! ), a STEM sticker and a super cool fruit clock. The clock can be powered by any fruit and we got such a kick of seeing it work with a single strawberry. 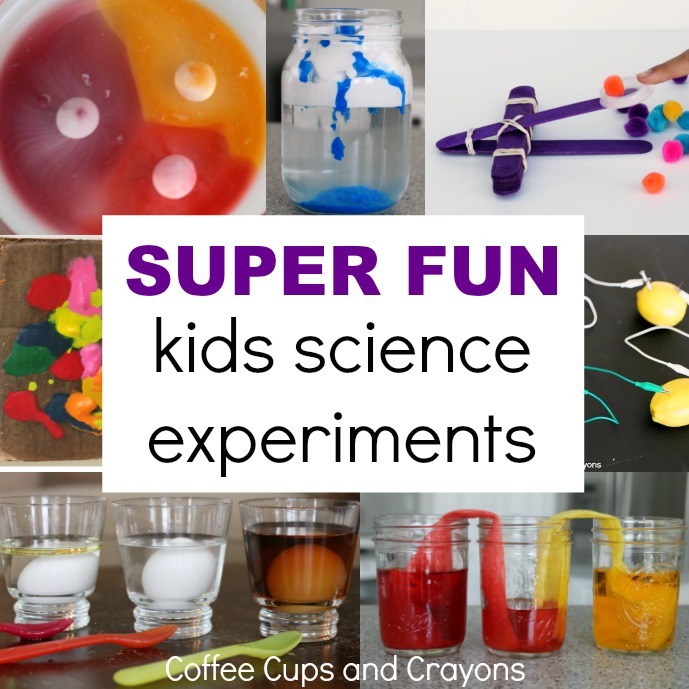 Such a fun way to get kids interested in STEM and how things work! 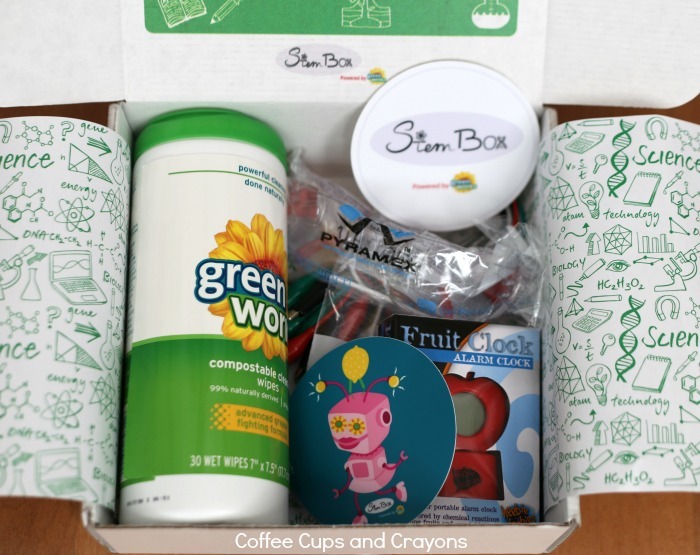 Want to try the Stem Box subscription service? With only 1 in every 1,000 girls pursuing STEM careers, Green Works has partnered with Stem Box to find unique and engaging ways to continue inspiring young girls to pursue a career in science. Stem Boxes are designed to be fun and inspiring for girls ages 7 to 13. Go to Green Works or Stem Box to sign up your kids today! This is a sponsored conversation written by me on behalf of Green Works . The opinions and text are all mine.